Less than 24hrs after finishing the Larapinta, I got on a morning flight from Alice Springs (Central Australia) to Perth (Western Australia) and arrived in Perth around noon. 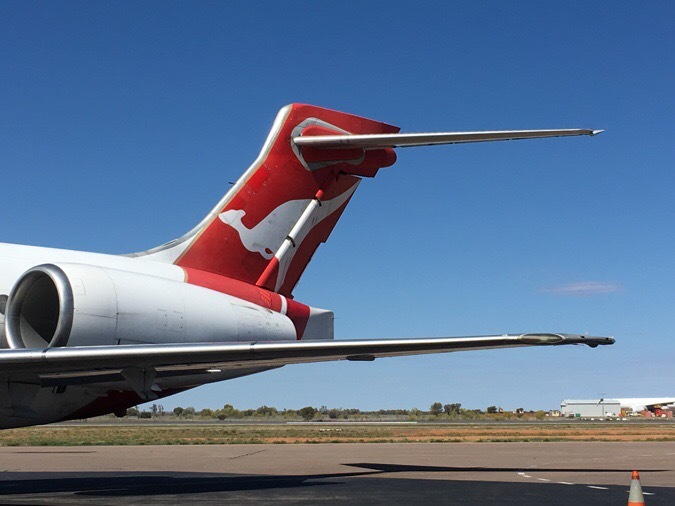 I just have to point out that the Australian airline Qantas has a kangaroo on the tail of the plane and that just makes me smile. 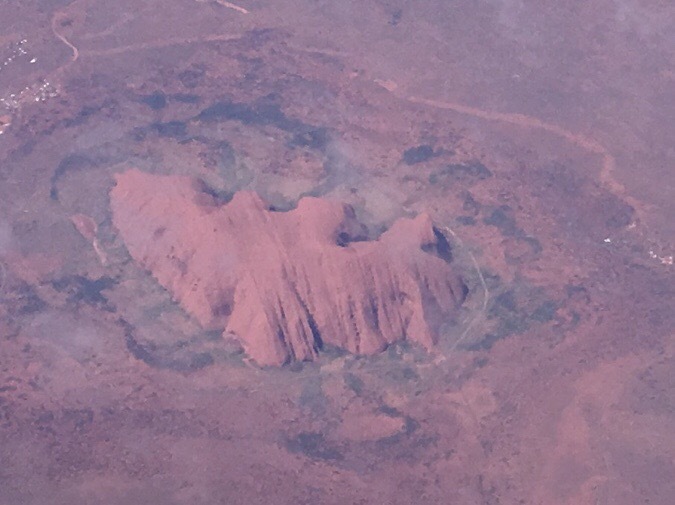 It was quite cool to fly over the area I had just hiked and see the Red Centre from above. The best part was seeing the massiveness of Uluru from the sky. 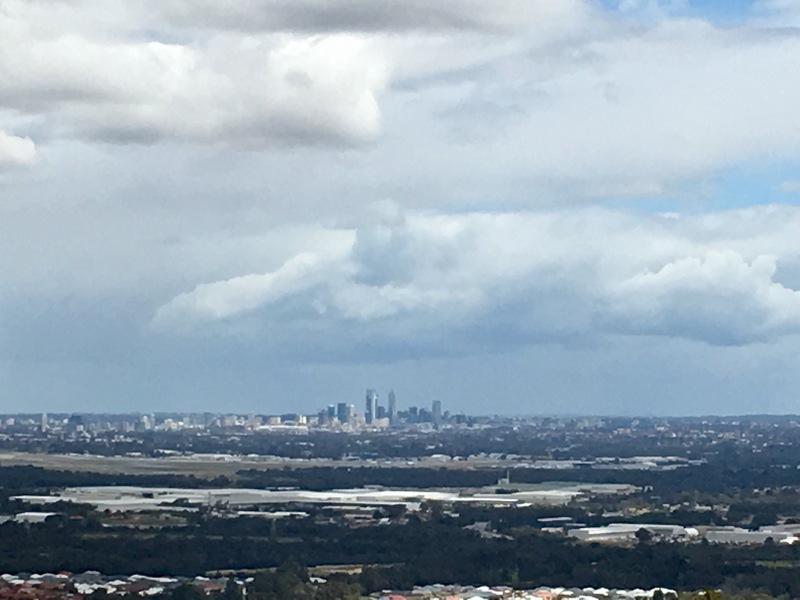 I’m being hosted in a suburb of Perth by a blog follower (Marcus and family) that contacted me months ago when I mentioned I was doing the Bibbulmun. They weren’t able to pick me up at the airport during the workday, so Marcus’s hiking partner Ben came with his son Caleb. 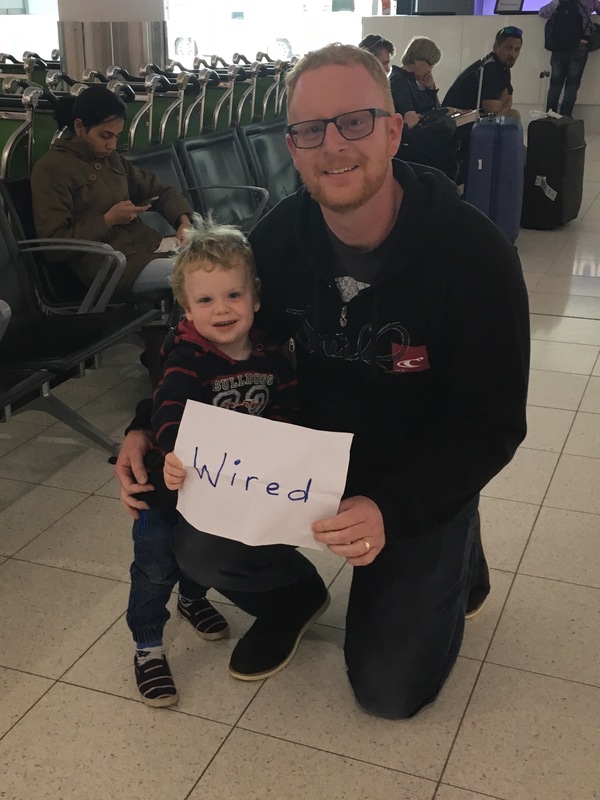 I wasn’t expecting them to be in the airport and looked over to see little Caleb holding up a “Wired” sign over his head. What an adorable surprise! I found my ride! Ben and little Caleb welcomed me to Perth. I had the annoying tasks of doing my resupplies for the month I’ll be hiking the Bibbulmun Track. For 1/3 of the hike, I can buy from stores, but for the other 2/3 I am doing resupply boxes. It makes the towns easy where there are no resupply options or where it is known to have a limited pricey selection. I’ll have two towns that I’ll fully resupply from the stores and three that I’ll pick up boxes. 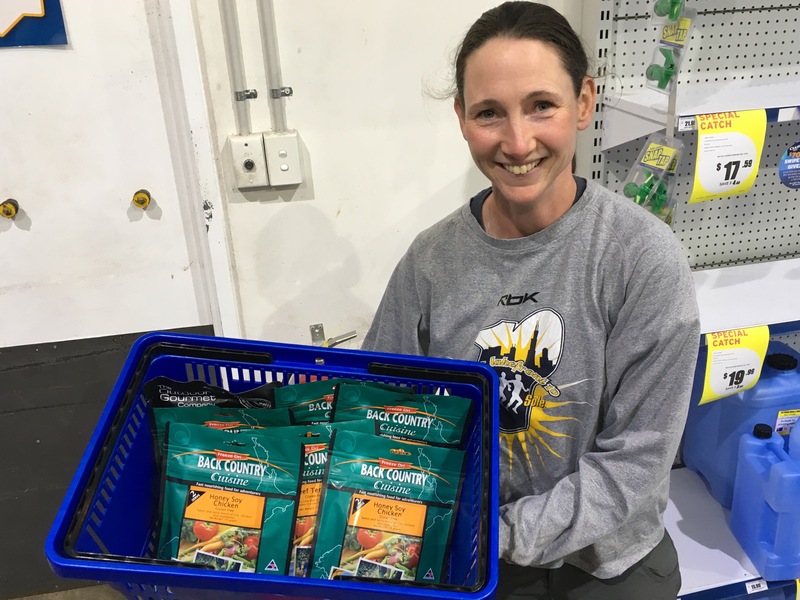 I was fortunate to have a blog follower donate enough dehydrated dinners to cover half the Bibbulmun Hike. I decided to go with Back Country Cuisine meals and it will be a good test to see if I would like to use them in NZ on the Te Araroa. THANK YOU Catherine for the dehydrated dinners! Then Ben dropped me off at the grocery store and I spent a couple hours buying the rest of my resupplies for the month. I definitely have to compromise on some things that are different here or don’t exist at all. Mainly, I’m struggling with my lunches because I love the tuna wraps I have always done. There aren’t foil packets of tuna here (just cans), so I am going to try the salmon ones they do have. The catch is that they are seasoned. One is lemon and dill and the other is chili pepper flavored. I just couldn’t get myself to do peanut butter on the Larapinta and it killed my appetite the rest of the day when I forced it down. Now I’m going to give these salmons a try and will see if those work out. Another big time bummer is that Australia doesn’t carry the individual drink mixes I’m used to. They have powdered Powerade, but I love my daily Crystal Light Pink Lemonade. I brought enough from the states to get me through the Bib, and I just hope in NZ they have more options. Also, my nightly chocolate milk (Carnation Instant Breakfast) isn’t sold here. Instead I’ve gotten the legendary Milo that is over here and will give that a try. It seems to be more malt flavored, but I think I’ll like it. Also, I had trouble finding protein bars. All the ones at the store were low carb and odd, so I passed and went with more Clif Bars since it’s a relatively short hike and I can tolerate less variety. Sadly, they don’t have Kind Bars or ProBars here either, so I tried to find other bars that were comparable, but they just aren’t as dense as what I’m used to. Marcus’s wife Nicole picked me up with their two kids, Lauren(8yrs) and Benji(4yrs). 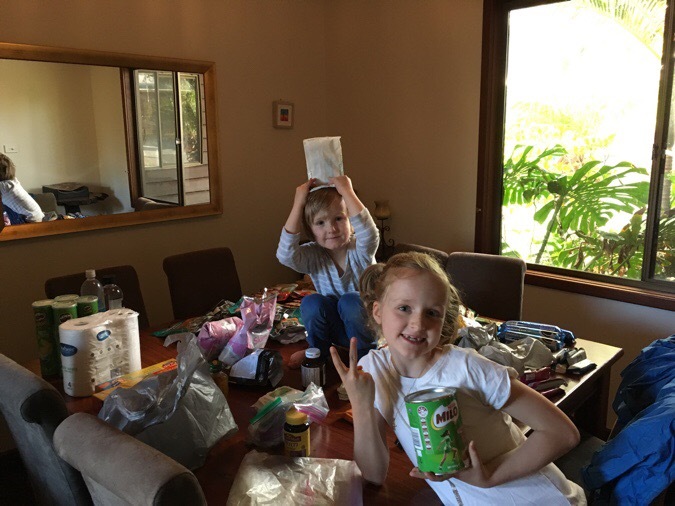 We headed to the house where Nicole made dinner while the kids helped me sort my resupply. My resupply assistants Benji and Lauren. Notice Lauren has the Milo (chocolate milk). Benji has the wet wipes, ha! I discovered another new food thing that’s huge in Australia. It’s a food mixer/cooker called a Thermomix. It’s magic! It has a computer chip with tons of recipes. We had a meat sauce for our pasta and it had the recipe in it. Basically, it beeps and tells you what to add and when. You don’t even have to mix it or anything. The Thermomix does all the cooking and stirring and mixing for you while you go and cook the rest of the meal! It makes tons of things and all you have to do is follow the directions when it beeps at you and tells you to add another ingredient. I love it and can’t believe we don’t have these in the US! 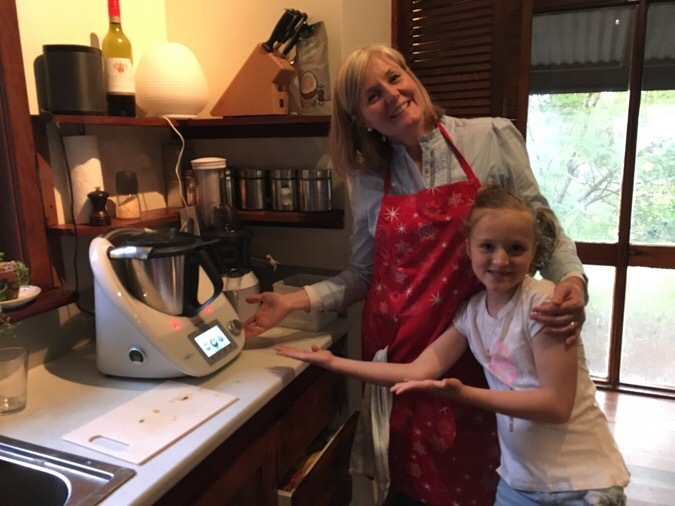 Nicole and Lauren with the awesome Thermomix. It was quite a day and it’s great to have such a welcoming and easy going family hosting me while I’m in this transition. I’ll also be returning after I finish the Bibbulmun and Cape to Cape hikes when I’ll fly out of Perth to Auckland in November. I slept in the most wonderful and luxurious bed and soaked it up all I could knowing it will be awhile before I’ll be able to indulge like that. 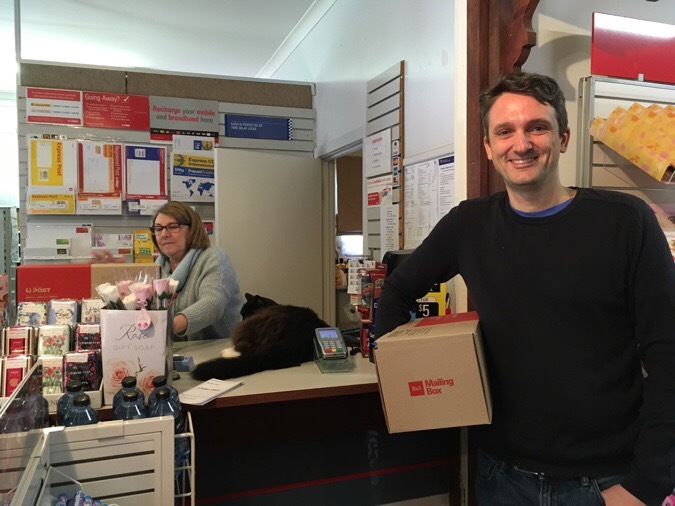 In the morning, the PO closed at 11am, so we got the food together and took it to the PO to send the three boxes I will be getting on the Bibbulmun. It is a small town mentality with a tiny PO and the woman working there had a huge cat that sat right on the counter and wagged its tail pretty much covering any space to put the box when you reached the counter. It was hilarious that the woman would a) be allowed to have a cat at the PO b) let the cat sit in the one place people need to put boxes! Here is Marcus holding one box while the postal worker posts the other. Cracks me up. It was a fair price to send the boxes at $11US a piece. Marcus at the PO while the cat takes up all the counter space. From there, I went on a brief walk with Marcus in Greenmount National Park right next to his house. I got a preview of all the plants and trees I’ll be seeing on the Bib. It’s all so unique! From a viewpoint in the park, we could see downtown Perth in the distance. People often say the Bibbulmun starts in Perth because it is the closest major city, but it actually starts in Kalamunda just east of Perth. I do think it’s a rule out here that most towns must have at least eight letters in them! A view of downtown Perth. 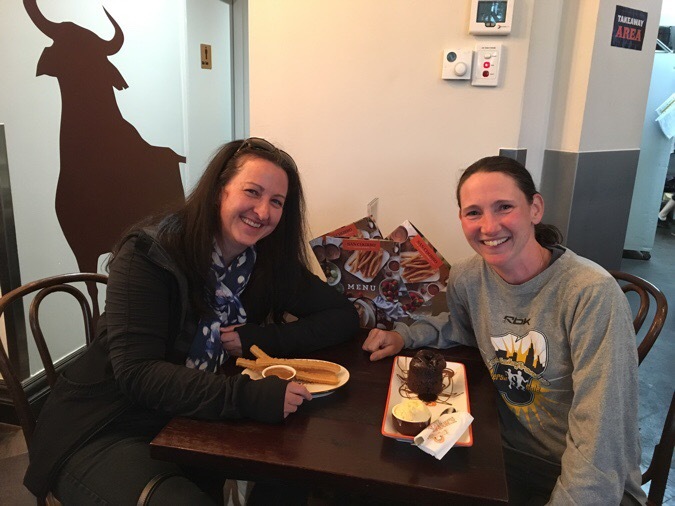 In another neighboring suburb lived another blog follower, Catherine, who gifted me the Back Country Cuisine meals and who I was able to do dinner with my second night in town. Here we are at dessert and I was quite excited to get a decadent warm volcano cake with chocolate fudge in the center. So great! Again, a big shout out to Catherine for being so nice and supplying so many of those dehydrated Back Country Cuisine dinners for me to test out on the Bib. THANK YOU!!! Tomorrow I’ll start the Bibbulmun Track. A 623mi/1,002km trail that runs along the southwest coast of Australia from Perth (Kalamunda) to Albany. This well blazed trail travels through many national parks and state forests with various terrain that ranges from dense forest to beautiful coastland. There are many huts and towns along the way, so this trail welcomes many, whether they be end-to-enders, weekenders, or day hikers. I am personally looking forward to a relaxing hike and the opportunity to wind down from the more rugged and draining hikes over the last few months. This hike will take about a month. The first half will be quite forested, which I’ve missed, and reminds me a bit of the Appalachian Trail. The second half will be on the ocean coast with much sand walking. It will be a fun one that I’m excited to cruise on and just stretch my legs and clear my mind. After I finish the Bibbulmun, the plan is to walk the Cape to Cape, which is an 84mi/135km hike that walks the coast that juts out to the west of the Bib. I’ll be returning to stay with Marcus and Nicole after those hikes around the end of November. It’s been great to have a home base of sorts and being there has aided in this swift transition between trails. I feel like I could totally take a day or two to lounge in this glorious bed, but the Bib is waiting. It is still quite cool and a bit rainy here as seasons are changing, so I’ll be starting off with some weather to contend with, but nothing terrible. It reminds me of the cool and light rain back home in Portland. Oh yeah, the best part is that apparently kangaroos are all over the Bib and they are like deer out here with how often people see them. I even saw one in the woods right near the house already. Oh boy, more deer! Ok, all the fun begins tomorrow. We’re going on the Bib everyone! And how wonderful that you have such amazing supporters there. Lengths of love and a wonderful, quiet walk for you! It did seem to lighten the mood a bit. Good luck out there, you will have an amazing time out there this time of year. What an adventure we are on! I love it! Thanks for taking us along Wired! Ahooooo! Can’t wait for this next adventure of yours. You are beloved all over the world. You have followers everywhere. Isn’t that amazing? Sending you well wishes for safe journeying. Let the hiking begin! If you get a chance, look up the Greene Room – a fitness center in Albany and tell them their mate Mary Nell in Florida says hello! This might be my favorite hike of yours! Erin, there is a Thermomix USA. However, a model that looks like theirs is almost $2,000 US. ? That cat looks much like mine..large and in charge. I loved Friday Night Lights! I miss Parenthood. Watched the final episode the other night.. and I always wanted to go live in Cicely Alaska, the long gone fictional town in Northern Exposure. So cool you got to soak up some family feeling, complete with cute helpers, cushy bed and large screen. And Catherine. Looking forward to this next trail.. from a distance. Thrilled for you that you’ve been looked after in Perth and got to see another kangaroo and lots of episodes. Have fun on the trail. The hiker community is just amazing. It is truly amazing how you’ve become known now around the world. I know you probably never set out to do that but your blog is just so good. And I’m so glad that I found it back on the PCT. Glad you had so much fun and were so well taken care of. I bet it brightens your outlook. Shop cats, or dogs, are so rad. I love the mellow mood they bring to the situation. I bet it wouldn’t hurt more business’ to do that. There’s already way too much busyness in this world. I will be watching your progress with great interest! since you are a chocaholic, let me tell you about the best ever nighttime drink. Take a standard sized Mars Bar ( a bit like Snickers Bars but better) and slice it razor-blade thin. Place the slices in a mug and pour on boiling water, stir until melted and enjoy. You could add powdered milk if you wish. I usually don’t. I’m looking forward to my zero there and the karri trees! I walked the Bibbulmun this time of year three years ago when there was a lot of rain and wind; trees down everywhere although the wildflowers were brilliant. Hope you have better conditions. I walked the Larapinta trail this year too. Actually, I walked end-to-end and back again as it wasn’t long enough. Te Araroa is on my list too since I was given a book on it. I’d love to walk the Appalachian but my wife drew the line there when I told her how long I would be gone. I look forward to following your walks. Haha, you’re hooked. The AT isn’t as great as others IMO. Man, the wind here is something! Sorry, I only just found your reply. What is IMO? And yes I’m hooked on the long distance stuff now. I’ve been bushwalking for years but now that I’m retired, I aim for the longer walks. Love it. Haha. Of course, must be a generation thing. Thanks. Hope the Bibbulmun goes as well as the Larapinta, Erin.. all this is so impressive! And well organised, too. There must have been lots of prep. to do. You can get foil packs of tuna in Australia, just not all stores carry it. I think Coles and I G A’s. 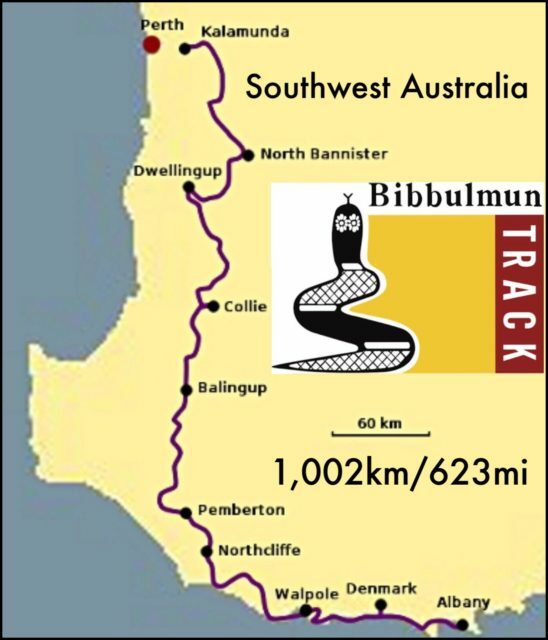 Also there is a FB page called the Bibbulmun Track and the members are great at helping people out–some of them live along the trail and would probably help you get specific supplies. As for Crystal Light 50 States in Perth may have it in stock. I am starting my e2e Cape to Cape next week, Overland Track (Tas), Larapinta in May then Bibbulmun in Sept/Oct. Looking forward to read of your Bibb experience. You can get Tuna in individual foil packs (Safcol brand – 100g – plain and flavoured) from Woolworths or Coles. Oh that’s great! All the ones I’m doing as well. I have managed to find the tuna thankfulky:) have great trips! I am Japanese hiker . I would like to use the image of the Bibbulmun Track map. Could you let me use a BibbulmunTrack map? 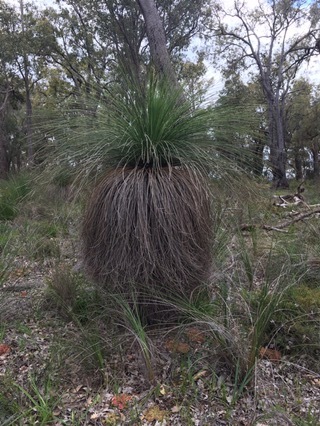 This year I try a Bibbulmun Track . I write a any report.